AutoStem Micro blasting cartridges are available in 17mm diameter suitable for an 20mm borehole and in 9mm suitable for a 10mm borehole. Power charges range from 3g – 40g making for the widest range of blasting products in the micro-cartridge size category. 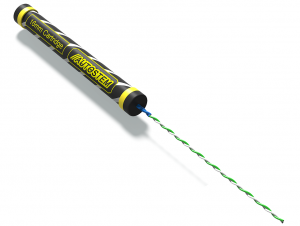 The AutoStem Micro range was designed for applications where our customers prefer to use hand-held electric drills, rather than incurring the cost and labor in using compressors and rock drills. The cost of rock/concrete breaking using the AutoStem Micro range are in some cases more than 90% cheaper per cubic meter than conventional breaker equipment. Contact us for complimentary technical support and for product recommendations. We’ll be pleased to advise you on which AutoStem Cartridge is best suited to your application and how you may best integrate the AutoStem solution into your application.